In December 2013, Beyoncé and Jay Z announced they were both going vegan for 22 days. On the second day of the challenge, the superstar couple celebrated Jay Z’s 44th birthday with lunch at Café Gratitude in Larchmont Village. Regulars at this location include Oscar winner Anne Hathaway and Emily Blunt. Located at the Four Seasons Los Angeles at Beverly Hills, Culina showcases the intersection of traditional and modern Italian cuisine with a seasonal, ingredient driven menu. The expansive indoor-outdoor space is an oasis for celebrities, who rely on the staff to ensure their privacy from paparazzi. The hotel is especially red-hot during awards season, largely due to Carol Watkins, the Director of Entertainment Sales since the hotel first opened in 1987. Known in the industry as the “Queen of Press Junkets,” Watkins has booked more than 3,000 press junkets at the hotel and other Four Seasons properties around the world. The Four Seasons Los Angeles is a favorite of Academy Award nominee Tom Hardy, who is probably hoping for the same good luck the hotel gave another regular guest, Oscar winner Colin Firth. 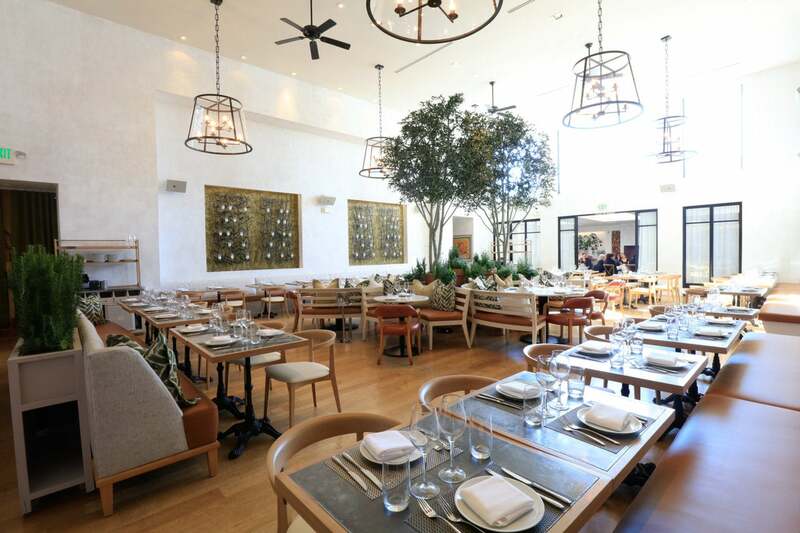 Located on Melrose Place in West Hollywood, the West Coast flagship location of Laurent Halasz’s Fig & Olive spans 8,000 square feet of light-filled space, double height ceilings, a 50-foot tasting bar and communal table. Fig & Olive is driven by a passion for the best olive oils, flavors and cuisine from the Riviera and Coastal regions of the South of France, Italy and Spain. Thanks to a discreet private entrance, the A-list doesn’t have to worry about paparazzi. Among the galaxy of stars that have dropped in are Sir Paul McCartney, Bruce Springsteen, Johnny Depp, Ryan Gosling and Halle Berry. Gracias Madre is part of the Café Gratitude family, the realization of chef Chandra Gilbert’s lifelong dream to open a vegan Mexican restaurant. Opened in January 2014, the West Hollywood location of Gracias Madre serves Gilbert’s organic, farm fresh, locally sourced menu, “full of flavor and love.” Beverage Director Jason Eisner curates a selection of small batch mezcals and tequilas, and showcases organic wines and spirits. To pair with Gilbert’s cuisine, Eisner’s cocktails are prepared with local produce and house-made syrups, shrubs, tinctures and bitters. Gracias Madre quickly became a hit and continues to be popular with health-conscious celebrities like Jessica Alba, Krysten Ritter, Cindy Crawford, Tyra Banks and Liam Hemsworth, who took his parents to dinner there. 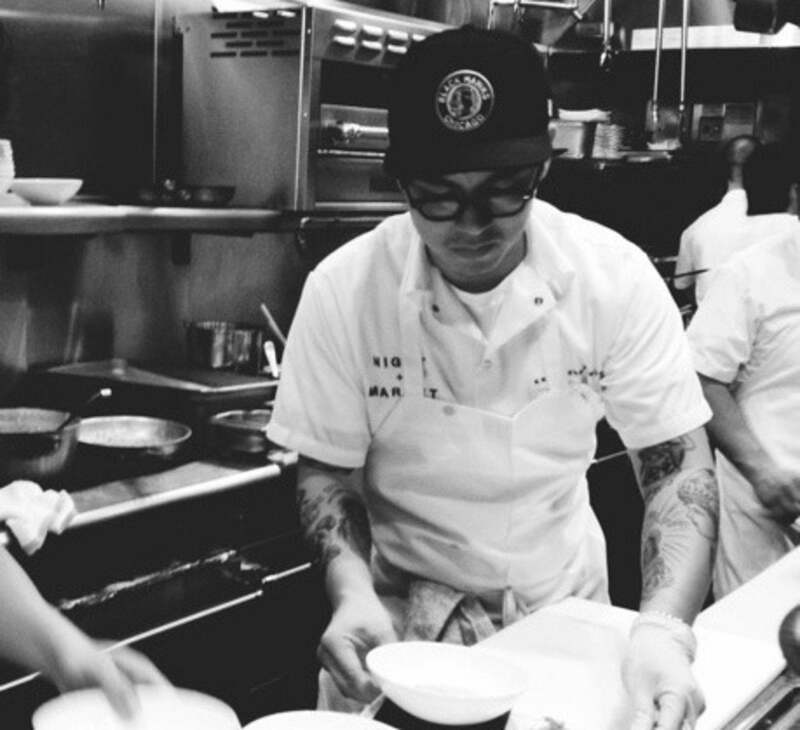 Located on the Sunset Strip inside Talésai, Night + Market features chef Kris Yenbamroong’s interpretation of Thai street food and regional specialties of the north. The menu is based on the concept of aharn klam lao, or "food to facilitate drinking." Diners are warned that “our food is VERY SPICY” and, while the kitchen will try to accommodate requests, “some dishes cannot be made mild.” In March 2014, fans were rewarded with the opening of a second location, Night + Market Song, in Silver Lake. Yenbamroong’s Instagram feed (@ntmrkt) shows him with famous friends and guests like Anthony Bourdain, Danny Trejo, Questlove, Gwyneth Paltrow, Jessica Alba, Arcade Fire, and Nick Valensi of The Strokes. Legendary chef Wolfgang Puck is a celebrity in his own right. 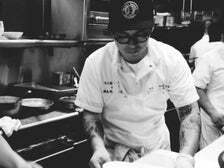 From his iconic smoked salmon and caviar pizza at the original Spago, to his annual gig catering the official Academy Awards after-party, Puck continues to be synonymous with the entertainment industry. In 1982, Puck opened Spago on the Sunset Strip in West Hollywood and it instantly became a celebrity hotspot. Now located at Canon Drive in Beverly Hills, Spago continues to welcome a celebrity clientele to its sophisticated, elegant setting. During Restaurant Week, Spago is offering exclusive seven- and nine-course California Tasting Menus that highlight the best of the Golden State’s produce and products. In 2007, Kazunori Nozawa’s reputation as the "Sushi Nazi" was secured after Oscar-winning actress Charlize Theron’s appearance on The Tonight Show, when she told a national audience that she was kicked out of Nozawa’s eponymous Studio City restaurant because she tried to order a la carte instead of heeding his famous "trust me" motto. While Sushi Nozawa has since closed, Nozawa's burgeoning Sugarfish concept continues to grow. 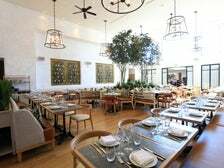 Each location attracts its own celebs, from Calabasas (a favorite of the Kardashians) to Brentwood (Bradley Cooper was a recent guest) and Beverly Hills, a power lunch spot for heavy hitters like Larry David. Sugarfish locations across L.A. are participating in Restaurant Week, including Hollywood, where Theron is a regular - apparently all is forgiven. Suzanne Goin and Caroline Styne - the acclaimed duo behind Lucques and AOC - opened their largest and most glamorous restaurant, Tavern in 2009. Located in the upscale neighborhood of Brentwood, Tavern features a trio of concepts under one roof – a garden-like dining room, a marketplace and a bar with craft cocktails and artisanal wines. Tavern is open all day for breakfast, lunch and dinner as well as providing pastries, coffees and prepared food to go. Celebrity locals like Ben Affleck are Tavern regulars, but it doesn’t get more A-list than President Barack Obama, who attended two star-studded fundraising dinners held at the restaurant in April 2011. The exclusive Hotel Bel-Air has welcomed VIPs to its lush hideaway since 1946. 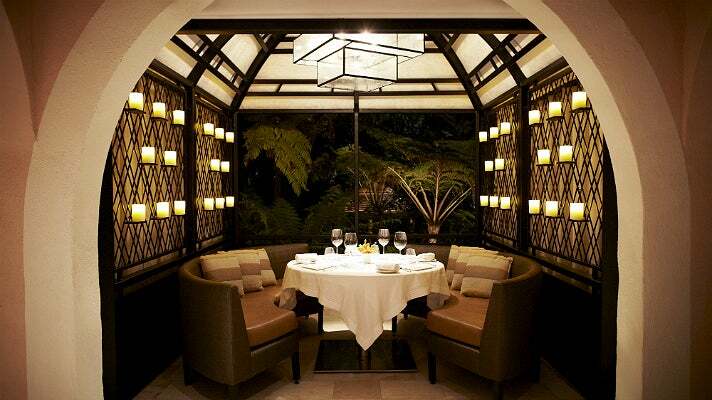 The hotel reopened in 2011 after a two-year renovation, which included the addition of Wolfgang Puck at Hotel Bel-Air. The high-end restaurant serves modern California cuisine with European and Mediterranean influences, offering dining options in the elegant dining room, on the terrace, or in the bar and lounge.